FIFA 17 is just getting a lot stronger and EA has no plans on stopping the hype. 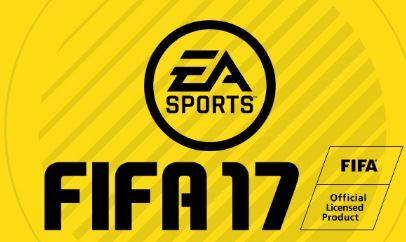 FIFA 17 coins just get more valuable as well as the competition in the world’s greatest football video game’s popularity rises. FIFA 17 is not all about the competitive and fun aspect of the game. EA Sports also wants to participate in worldly cause with the help of FIFA 17 and Apple. Let’s take a look at the charity event! EA SPORTS, Apple and (RED) are working together to deliver an AIDS-free generation. From now until December 6, pick up the (ASSIST PACK)RED in FIFA Mobile to show your support. This pack has at least four (4) Gold or better players and two (2) Silver or better players. In addition to these great players, you’ll also receive an exclusive (EA SPORTS)RED kit and ball to use in-game, along with the exclusive (PROFILE LOGO)RED to show off your support for the cause. The (ASSIST PACK)RED is only available for one week so be sure to show your support today! This is great news for FIFA 17 fans! Not only you are going to support the AIDS-free generation message that EA, Apple and RED, you will also get super great deals that come along with it. AIDS is definitely a disease that is hard to fight and the spreading of AIDS is far from over. We must share the fight against the spreading of AIDS with FIFA 17 and FUT Coins! We must fight together to create a better future! Who said that video games can do you good? Well, if it is not for us, it will do good for everyone! Thanks in advance to everyone who participate in this great cause! Share us your thoughts in the comments section as well!